Many people are afflicted with habitual clenching or grinding of the teeth (bruxism). Some people may do this consciously during the day, but it is much more common to occur at night during sleep. Grinding your teeth can damage enamel, wear down teeth, cause jaw pain or headaches and irritate your gums. The noise from teeth grinding can also disturb your spouse's sleep if loud enough. 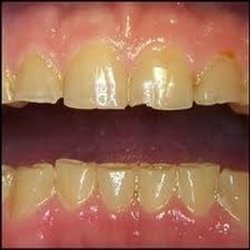 If you grind your teeth you should consider an occlusal guard. 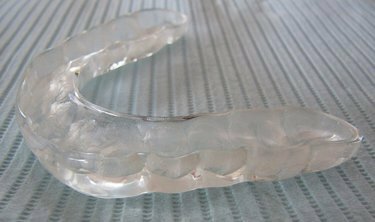 The occlusal guard, which is very similar to a mouth guard worn by athletes, provides a barrier between your top and bottom teeth while you sleep. All occlusal guards are custom fitted for comfort and to allow for proper breathing and bite. Your dentist will take an impression of your teeth and have the occlusal guard created by a dental lab or in the office lab. Night guards are very durable and can often be used for many years.